Bengaluru: In a major setback to Congress, actor-turned-politician M.H. Ambarish rejected the party’s request to contest the May 12 Assembly polls from his hometown Mandya. 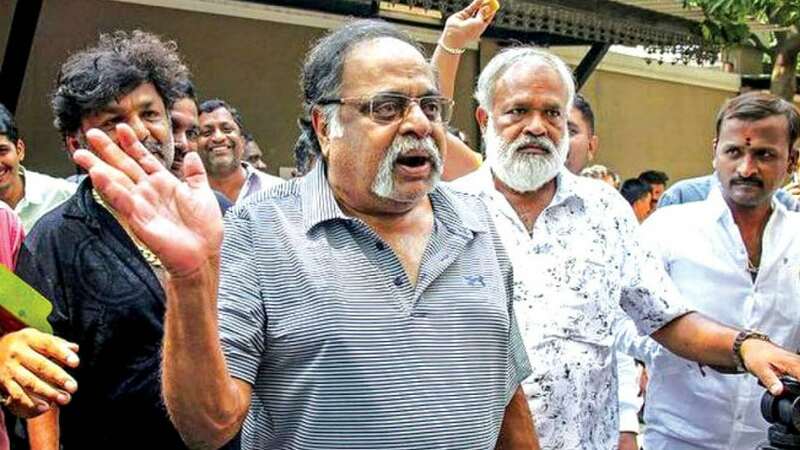 Sixty-six-year-old Ambarish broke his silence over his decision to not contest from Mandya after the party gave the ‘B Form’ to Ravikumar Ganiga yesterday, the last day for filing nominations. Ganiga runs a local TV channel. He filed the nomination from the constituency at the eleventh hour. Congress had announced Ambarish’s name and had even sent a ‘B Form’ to his house. During the last few days, many senior Congress leaders, including Chief Minister Siddharamaiah had tried to convince him. “I am not contesting the elections and will also not campaign for any candidate,” said Ambarish, also known as Rebel Star in the Kannada film industry. “I have not suggested any names to the party and why will I campaign for others?” he shot back when asked if he would campaign for Congress candidates. “It is easy to ask votes for me, but it is different to seek vote for other candidates,” he added. Citing health reasons for not contesting the polls, the former Minister said, “I was treated in Singapore hospital four years back and age is also a factor. Also, I cannot justify my duty (as an elected representative),” he said. Ambarish said that he had decided not to contest the elections a few months ago, but he had not formally responded to the Congress which had given him ticket to contest from Mandya. His staying away from the campaign in Mandya district is likely to benefit the Janata Dal (Secular) to an extent as the Mandya Congress would virtually be left with no senior Vokkaliga leader with veteran S.M. Krishna in the BJP and Ambarish remaining away. Earlier in the day, as a final call, KPCC President Dr. G. Parameshwara had sought a meeting with Ambarish. However, Ambarish did not turn up. Left with no option on the last day for filing nominations, the party gave the ‘B Form’ to Ganiga.